Digital team at Pac-12 Networks | graduate of THE University of California-Berkeley | Intersecting sports and technology. may your mind learn to love with compassion. Social media @Zillow & @Trulia. President @SeattleUODucks. Writing about Driven Young Pros — positioning college students & young pros for success. Author, Never Too Late to Startup. 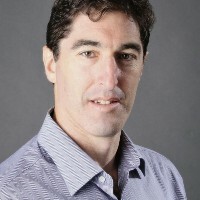 Founder, www.StartLaunchGrow.com. Helping entrepreneurs grow and companies innovate. Entrepreneur. Board member. Entrepreneur. Media/Tech Startups. Soccer Fan/Former Longhorn.